Confession: after much resistance, my family finally convinced me to sign up for Snap Chat and now, whenever my husband realizes I'm no longer beside him, this is usually the view he finds when he turns around. :) Confession number 2: I cut five inches off my hair immediately following this shoot. I guess it's because I always have it curly, but holy cow was I need of a trim. Eek. 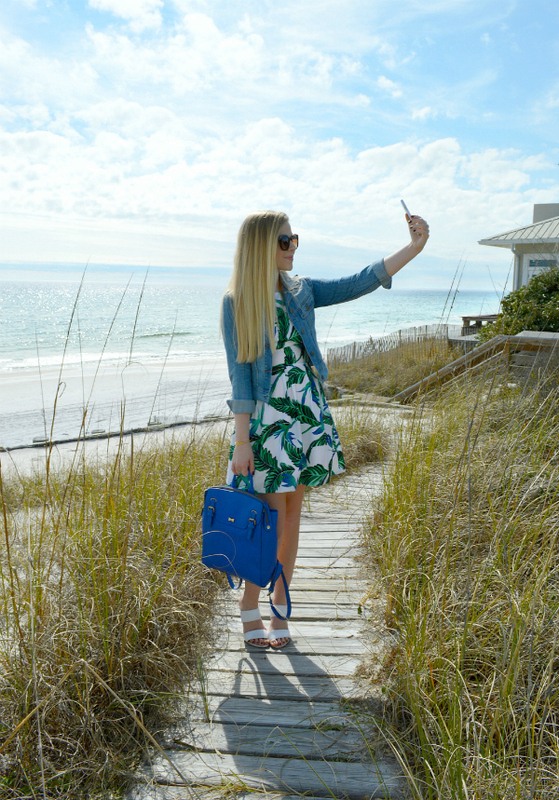 Lovely dress and cute bag! I'm in love with your dress and all the beautiful colors! 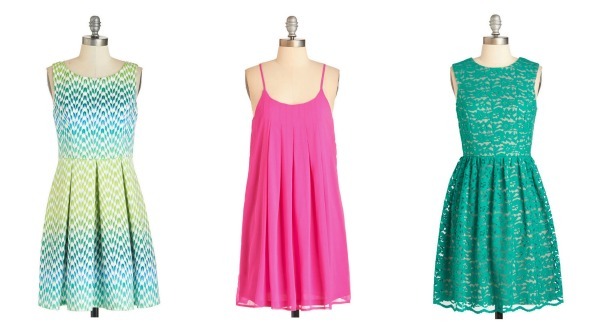 These dresses are perfect for sping-summer, you are right! Great dress you have!! I like the last dress! i loooove the print of the dress! and once you get used to snapchat it really does kill time lol. i basically only snapchat funny pictures of my dog =. 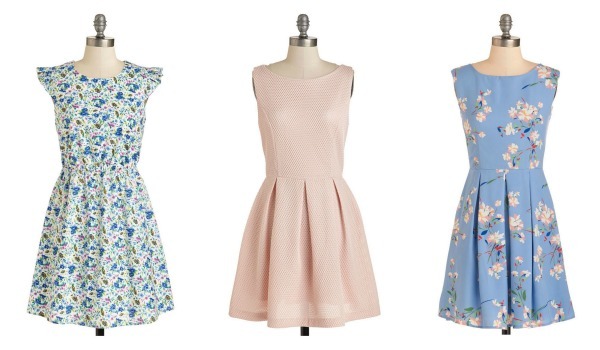 Love these dresses, so cute for spring. 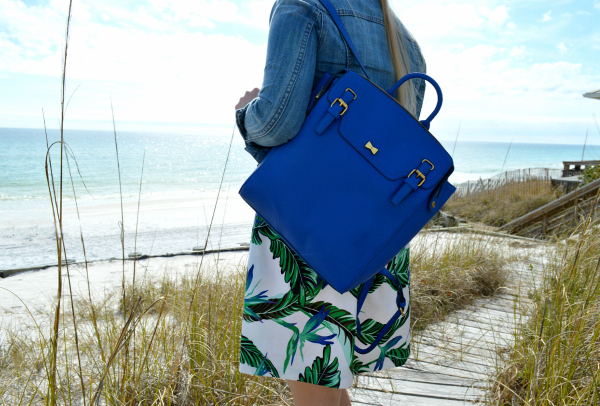 Absolutely loving the pop of cobalt! Oh yes please. I definitely need one of those bright colored dresses because it's already so hot out and we are going to the beach. 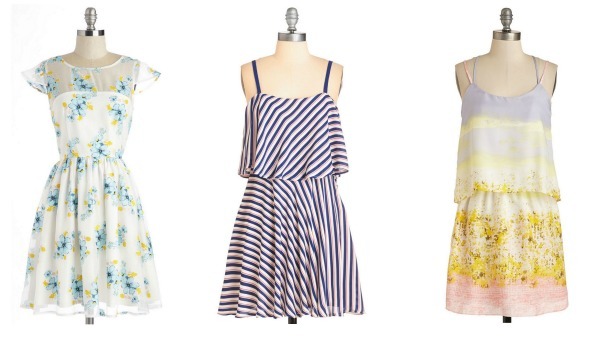 Love these spring dresses, thanks so much for sharing! Definitely have my eye on a couple of these for Easter this weekend!! Your dress is too cute and so are the fabulous picks! Loving your dress hun! Perfect for spring! I like the dress your wearing. 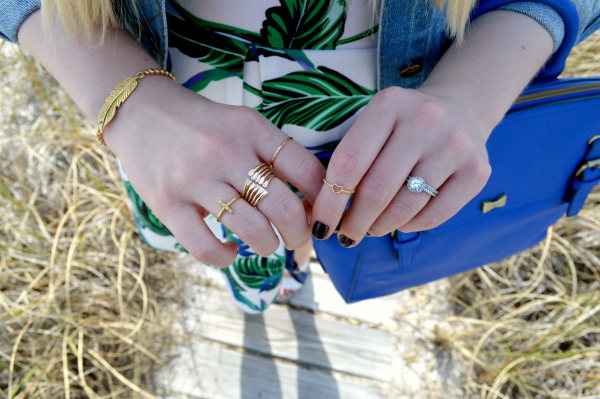 The print is a really fresh take on floral prints. Beautiful dress! Love the bag! Great selection of dresses! You look stunning! Love the gorgeous dress you have on! I love this style ! I just discovered your blog, i love it ! Love this look! It is gorgeous! I need to jump on the snapchat bandwagon! 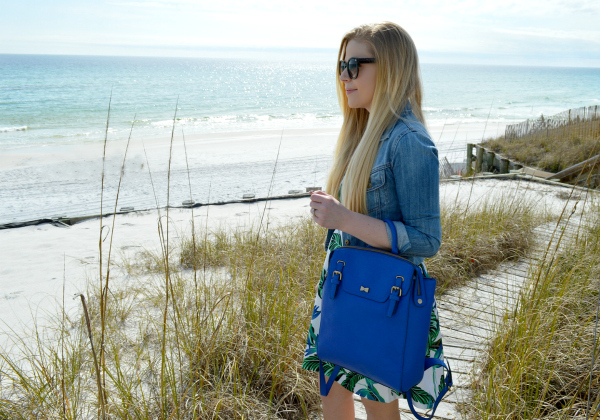 I'm all about fun/bright prints for spring so I'm obviously loving all of your picks! 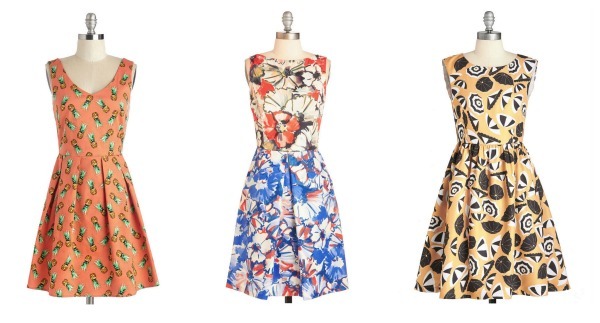 Spring dresses are on my list to get...YEAH!! Your is so pretty and if they still have it, I may have to grab it :D.
The entire third row is super cute! beautiful dresses you have shared . A lot of thanks for this post .